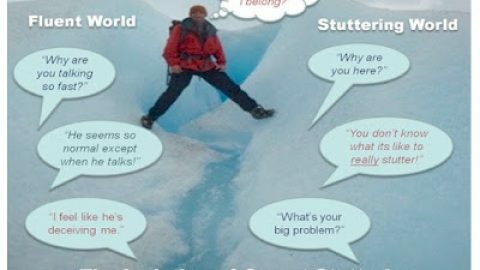 Communication Workshop by Dr. Satyendra Srivastava at SMTA campus on 29, 30, 31 March 2019 (Fri to Sun) for people who stammer/ stutter. If you have tried many therapies and are not happy with the outcome, this workshop may benefit you. 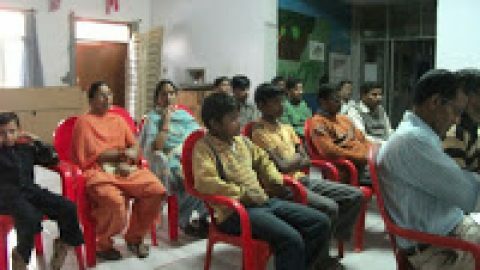 It is based on Meditation, deeper discussion about underlying causes and some self-help techniques. The medium of discussion will be Hindi / English. We are calling it Comm WS Version 2 since it is a big leap from our old communication workshops. For three days we will practice meditation from morning till evening. In the evening we will take up questions and techniques. Participants will have to report by the evening of day zero and will be free to travel on the morning of day 4. Minimum fifteen participants are needed. Old and new members of TISA- both are welcome. Age is no bar. Women also are invited. But please register early. Cost of board and lodge to be paid to SMTA (not TISA)- which includes veg meals, shared lodging, training hall – all-inclusive, will be a nominal fee of Rs 800 per day per person. You may register by sending Rs 2400 to SMTA account as follows, and confirm with SMTA Accountant, Mr. Kundan, (9412152249) between 10 am to 5 pm on any working day. He can also be emailed at kundanlalsehgal@rediffmail.com. After you have transferred the amount (or sent the cheque), please send a brief email about yourself, your therapy history, and your purpose in coming to this workshop to Dr. Sachin at satksri@gmail.com. If you need a scholarship, let us know. By the way, this is the same venue where TISA had their FIRST communication workshop in 2010 (link)!! And yes, the workshop will be facilitated by Sachin, whose own life has been touched by meditation. You will also be interacting with the SMTA team- Sultan, Kundan, and Ms. Dhaneshwari and others. In the end, you may go for a day outing to Chakrata mountains, which is only 55 km from here. Recently Abhinav and Nishil visited SMTA campus and here are their experiences (link).